This was our 51st meeting! Again a long 14 weeks between get-togethers. Keith, Silvio, Harry, Dave, Phil, Jim A. and I were in attendance, so it was a great turnout. We were going to shoot for a new Guiness Record for “Number of Topics Discussed” because I had notes for 38 defined topics and 8 preliminary discussion topics. Unfortunately, technical problems playing the CBS 60 Minutes video segment about the Curiosity rover on my computer, stole too much time from the meeting. Fortunately, my wife Carol located the video on her Iphone and I switched the AppleTV with my computer and AirPlayed the clip. Carol is now a unanamous candidate for our technical support staff. Even with the delays, we discussed 8 preliminary topics and 13 defined topics. Wisconsin, transmitted over Western Union lines to Adler and then used to turn the lights on at the 1933 Century of Progress World’s Fair in Chicago. 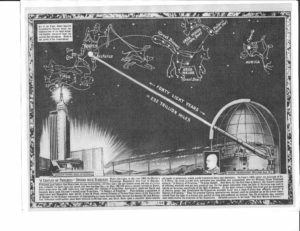 The significance of Arcturus is that it was thought to be 40 light years away and that meant the light left the star in 1893 when the previous World’s Fair was held in Chicago. Everyone at our MASS meeting was interested in researching a trip to Yerkes for the group this Summer. Phil’s trip to Kennedy Space Center – Phil and his family really enjoyed their visit and had a “Lunch with an Astronaut” event but the weather did not cooperate for their Delta rocket launch. The upcoming Falcon Heavy launch in October of this year should be fantastic because it will be the largest rocket since the Saturn 5’s that launched astronauts to the moon in the 1960’s and 1970’s. Neil De Grasse Tyson’s new book “Astrophysics for People in a Hurry” – Both Dave and Jim A. have already purchased the book and they say it is a great read and a handy resource. I’m anxious to get a copy and see if it has potential as a text book for future MASS meeting group discussions. My review of Gene Cernan’s documentary “Last Man On The Moon” on Netflix – Cernan was disappointed that he shorted his family life by being an astronaut, after being on the moon he continued a busy touring schedule which led to his divorce. He traced his daughter Tracy’s initials, TDC, into the moon dust before he entered the LEM to make up in a small way for some of the bonding time he missed with her when she was a child. I wonder if the initials survived the blast from the rocket exhaust. He later went into ranching and looked quite affluent with his new wife. I was disappointed that the show didn’t get into his opinions on where the US space program show put its future energies. As a side note, I was disappointed that the US doesn’t celebrate Alan Shepard’s inaugural flight into space, May 5, 1961, as much as they do the Cinco De Mayo holiday. The Russians make a very big deal of Yuri Gagarin’s first launch into space. I know Shepard’s flight was sub-orbital but at least he landed in his capsule. Gagarin, by design, ejected and landed on a parachute separate from the capsule. If you ever look at those early capsules, it is amazing anyone could stay in them for more than 5 minutes. I went to an interesting talk by Beth Mund at the Villa Park Library about the movie “Hidden Figures”. Beth is a very good speaker and worked for NASA in the public relations department of the Johnson Space Center in Houston. She also attended “Space Camp” in Huntsville, Alabama as a child and later came back as an adult instructor. I knew she and I would have a lot in common when I saw that her business card identifies her as a speaker/writer/space geek. I look forward to her return to the library to give a talk on the “Myths of the International Space Station” on June 28. She now lives in the western suburbs and I hope I can get her and her husband who also worked for NASA to attend a MASS meeting sometime. My trip down memory lane included a display of an enormous 6.5 ft x 6 ft war game I had designed when I was a sophomore in high school. It contains 14,000 hand drawn hexagons to represent the European Theater of World War II and is similar to other games from a company called Avalon Hill. I created it during my Spring vacation week in 1965. 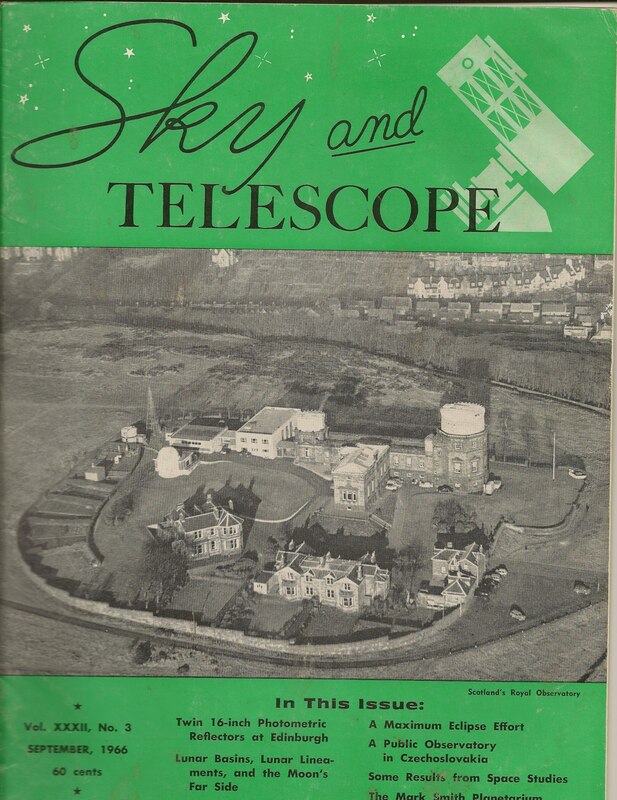 The second part of the trip down memory lane was 50 years of Sky & Telescope magazine that I have saved starting with the September 1966 issue to the present day. Only 1 issue is missing. I anxiously await the opportunity to transfer the 250 lbs of magazines to the back seat of Dean’s car. 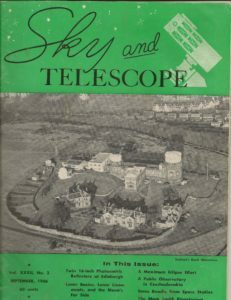 The Fall of 1966 is when my parents purchased an 8″ Cave-Astrola telescope for me from a furniture store on the north side of Milwaukee and I started my subscription. Mysterious space plane lands – the X-37B landed successfully Sunday, April 7 after 718 days in space, almost 2 years, creating a sonic boom over Florida. The Air Force says the reusable plane “performs risk reduction, experimentation and concept of operations development for reusable space vehicle technologies.(?) Whatever that means. Preparations are starting for a fifth launch of the plane later in 2017. Largest plane unveiled – Paul Allen of MicroSoft built Stratolaunch with a 385 ft wingspan and a height of 50 ft. It weighs in at 500,000 lbs and can hold 250,000 lbs of fuel and a 550,000 lbs of rocket, for a combined total of 1.3 million lbs. The plane with use Orbital ATK’s Pegasus rocket to launch a 1000 lb satellite into orbit after flying the rocket to 35,000-40,000 ft. The plane was built by Scaled Composites which is the company formed by Burt Rutan that created SpaceShipOne which won the $10 million Ansari X Prize in Oct 2004 for sending people into space twice within a 2 week span with a reusable spacecraft. Boeing to build new DARPA Space Plane – XS-1 is to be built 2020’s. It is intended to be a short time-line launch to orbit vehicle that will fly the externally mounted rocket to a sub-orbital height, detach the rocket which will take the satellite to orbit, while the plane returns to a runway landing. Interactive chart of satellites – click on “interactive chart” to bring up the animation screen. There are 1300 currently orbiting earth in the display. Toward the top of chart is lower orbits. It is amazing what the size of ISS is compared to other satellites. Keyhole spy satellites are the next largest objects. You have to scroll down lower in the chart to display geosynchronous satellites. You can see all 4 positioning satellites systems (US-GPS, European-Gallileo, Russian-Glonass and Chinese-Beidou) just below the geosynchronous ones. Pressing the space bar sets the satellites in motion moving up and down to show their elliptical orbits. Steven Colbert in a Starliner capsule – great 8 min video from his show; Aired the night of our February 24 MASS meeting where we showed the new blue spacesuits of Boeing. During the video he breaks a switch off the capsule to the chagrin of Chris Ferguson. Ferguson piloted last shuttle, STS-135, in July 2011 when we had our first MASS meeting which will soon be 6 years ago. Absence of US launching their own astronauts from US soil is longer than any previous gap between US manned space programs and longer than the Civil War (4 yrs 1 mo) or World War II (6 yrs, which is 2 yrs 3 mo longer than US involvement in the war). On July 8, 2017 it will be 6 yrs since last shuttle. On MASS meeting date of June 2, 2017, the span without a launch from US soil is 2156 days. The Mercury-Gemini gap was 678 days, Gemini-Apollo gap was 700 days, Apollo-Shuttle was 2098 days if you count the Apollo/Soyuz mission as an Apollo capsule launch, SkyLab-Shuttle gap was 2704 days, if you don’t count the Apollo/Soyuz mission. The earliest first commercial crew scheduled flight is SpaceX’s in May 2018. This would be a 2503 day gap from the last shuttle launch to May 15, 2018. Commercial Crew schedule is agressive but doable – In the April 7, 2017 story, they say that at end of shuttle program the “Loss of Crew” (LOC) risk was 1 in 65. It was first mandated that the new Commercial Crew capsules being developed were to be 10 times safer (1 in 650 LOC risk) but that was found to be unrealistic. So a risk of 1 in 270 was accepted as the goal. Boeing’s schedule is for an uncrewed Starliner flight in June 2018 with crewed demo flight in August 2018. SpaceX’s plans an uncrewed Dragon flight has recently slipped by 4 months from November 2017 to March 2018. Their crewed demo flight is still listed as May 2018. The most optimistic MASS Prize guesses coming up soon (Jim A. guessed Aug 2, 2017, Carol guessed Aug 29 and Kevin guessed Sep 26). Soyuz capsule lands earlier in the day – A Russian and a Frenchman were inside the Soyuz. Russia has dropped to only a maximum of 2 people on ISS to save money. Peggy Whitson of the US got the OK to stay aboard and extend her mission by 3 months. She has set the US total time in space record and will have over 650 days in space when she returns in September. The Russian record is 878 days and the current Russian on ISS with her has 7 more days than her. So she will never catch him on this mission. But this will be the first time that the ISS has more Americans on board than Russians (2 to 1). Book “Elon Musk – Tesla, SpaceX and the Quest for a Fantastic Future” – He is a strange guy and I have less confidence in his stability to see some of his goals to completion after reading the book. He has too many radical new projects and seems less likely to retain good people. Musk just quit Trump’s advisory council over Trump’s leaving of the Paris climate accord. Lunar X prize – Originally set up in 2007 for competitors to land robots on Moon by 2012 but deadline has been pushed back several times. Currently the deadline is for the launches to occur before the end of 2017. Five teams have advanced to last stage: 1) SpaceIL (non profit from Israel), 2) Moon Express (lunar resources company from US), 3) Synergy Moon (international aiming for cost effective space exploration), 4) Team Indus (for profit from India) and 5) Hakuto (Japan firm interested in lunar resources). All have signed launch contracts. SpaceIL on Falcon9, Team Indus on Indian Polar Launch vehicle, Hakuto will hop a ride with Team Indus, Moon Express on the Electron rocket from Rocket Lab USA (This rocket just launched. See following #10 Electron rocket article) and Synergy Moon on a rocket from Interorbital Systems (never launched). Absent are Part Time Scientists from Germany which didn’t get their launch in time and Astrobotic (US team) who deferred to a later launch in 2019 to increase their chance of success. The first team to land on the moon and transmit video back to earth and move 500 meters across surface will win $20 million. The runner up will win $5 million. TeamIndus alone has a specific launch window of Dec 28, 2017. Others hope to launch sooner. On 4/21/17 SpaceIL dropped out saying they couldn’t ready their craft to fly on the Falcon9. So now down to 4 teams. At one point there were 29 teams registered but since that peak most have either dropped or merged with other teams. Electron rocket launch – Rocket Lab, a California based company, successfully launched on May 25 its 2 stage carbon composite rocket from New Zealand (11th country to put object into space). A first for a private launch complex. The rocket uses 9 engines that are 3D printed and is capable of placing 500 lb in LEO for a $4.9 million cost. Although orbit was not attained on this first launch, more tests will be coming with the next flight in July 2017. Their goal is to launch a commercial payload by year’s end. Moon Express hopes to use the rocket to win the Lunar X Prize. Mission to Sun renamed Parker Solar Probe – nice video explaining the mission. We discussed Solar Probe Plus at our Feb 24th meeting. Only real change with this announcement is the renaming of the probe. The probe will launch on a Delta IV heavy on July 31, 2018. It will take 7 years with numerous flybys of Venus to achieve its final orbit that comes within 4 million miles of the Sun (7 times closer than anything previously). It will travel at 430,000 mph when close to the Sun and make 24 orbits as it studies the sun’s corona which is 300 times hotter than the surface. This is the first probe named after a living scientist. 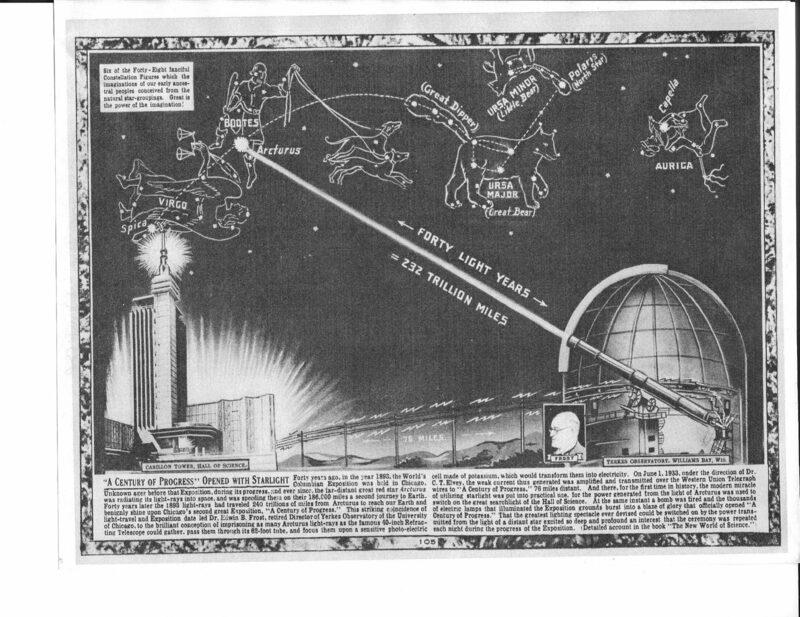 Gene Parker is from University of Chicago and predicted the solar wind in the 1950s. The probe has a carbon composite heat shield so that it can endure temperatures up to 2500 degrees F.
Main topic: CBS 60 Minutes story about Curiosity Rover on Mars – site also has a cool 3D emersion video of what is would be like to walk on Mars. 60 Minutes story deals with the concept of panspermia, the ability of life to hop from one planet to another. Mars might have had microbiological life before the Earth was inhabitable. We might be Martians in that Earth life could have come from Mars. 2020 Mars Rover site selection – Columbia Hills, Jezero Crater and Northeast Syrtis. All regions where water flowed and possible microbial life might have flourished.